One of my favorite poets, winner of the Nobel Prize in 1996 (and it paralyzed her, according to her New York Times obituary-- she couldn't write another poem for "a few years". I'd love her just for this, if not for her beautiful, ironic poetic voice). She passed away today. More about Ms. Szymborska here and here. On the right. On the left. You were in luck - there was a forest. You were in luck - there were no trees. Wislawa Szymborska, 'Could have', in View with a Grain of Sand: Selected Poems, trans. Stanislaw Baranczak and Clare Cavanagh, Harcourt Brace & Company, New York,1996, pp.65-66. Via PoemHunter. 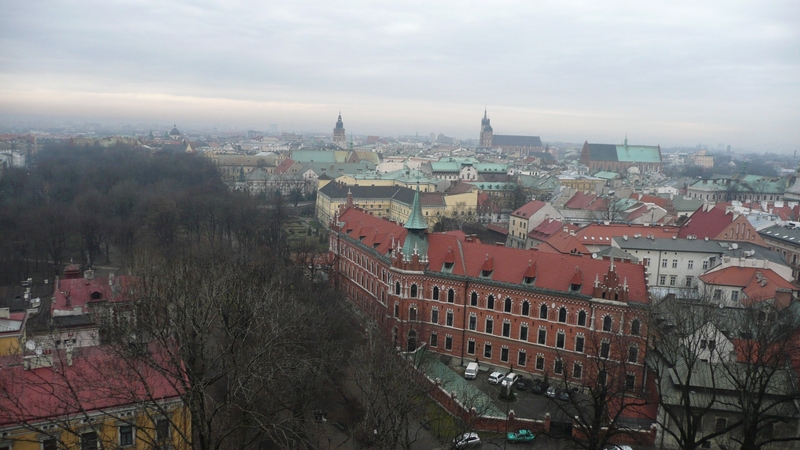 Photo of Krakow, Poland, where Szymborska spent most of her life (via Google). A favorite of our poetry-loving CEO, he's sent the staff a couple of her poems and has included her work in speeches he's made.